Every country has it’s own traditional sweet treat, and Ecuador has espumillas! 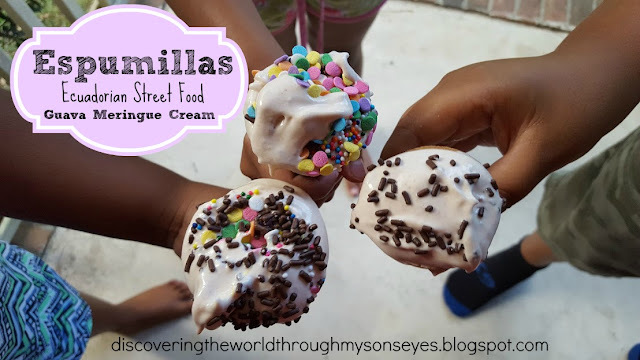 Espumilla is a guava meringue cream and a very popular Ecuadorian street food. Little one had a few friends over, and together we learned about Ecuador’s delicious espumilla. We watched a video in Spanish on how a local lady makes her espumilla for a living. She does the whole process by hand!!! Amazing!! Of course, we used a blender. The original recipe calls for pureed guavas, sugar, and egg whites. For our version, we didn’t have fresh guavas. So I improvised and used guava paste. Since the guava paste is already sweetened I cut back on the sugar used for this recipe. Ecuador is named after the equator which runs through the country. Ecuador is the only country in South America that does not share a border with Brazil. Ecuador is the world’s largest exporter of bananas. Ecuador’s currency is the U.S. dollar. Ecuador’s official language but there are also 13 other languages! 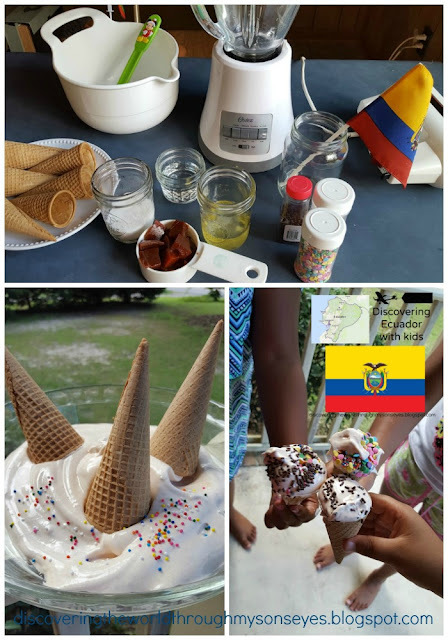 This post is part of Multicultural Kid Blogs monthly Global Learning for Kids series featuring Ecuador. Make migajones from Ecuador by Kid World Citizen. 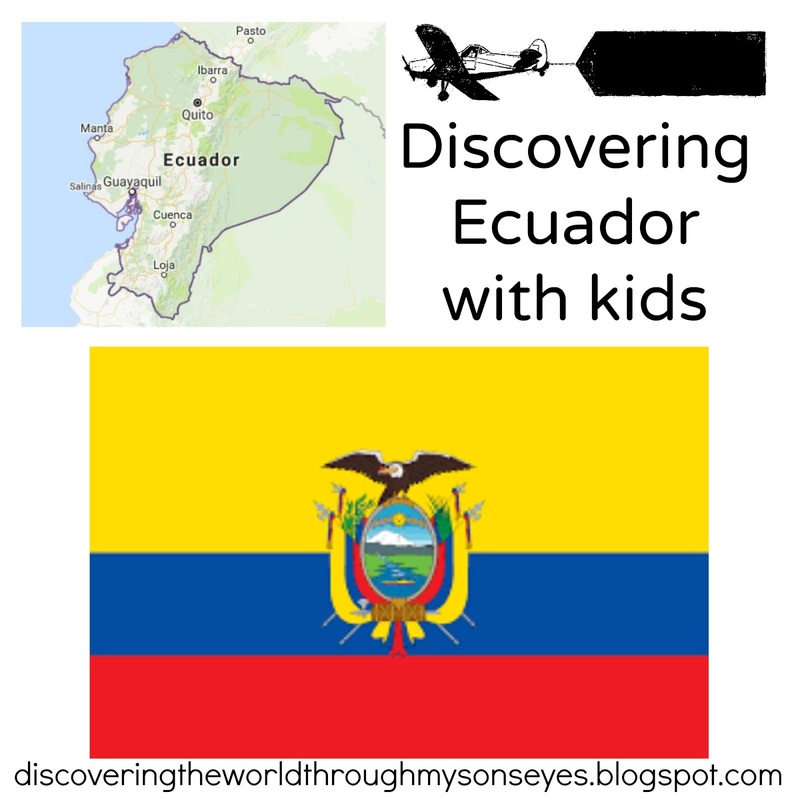 If you’re planning to visit Ecuador read Hispanic Mama’s 12 places In Ecuador that you should visit or drool with another of her posts on Ecuadorian candy! 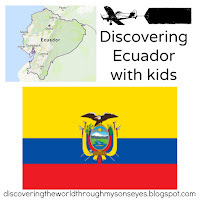 Last but not least, read about Ladydeelg’s train ride in Ecuador: From Quito to Machachi, and her post on 10 Fun Things to do with Kids in Ecuador. For more facts about Ecuador read National Geographic for Kids.